I still remember the first time I had Pad Thai. I was going to school in Olympia, WA and I was out to dinner with my friend Amanda from San Francisco. I can still remember how hilarious she found it that I had never had Pad Thai before. I mean, I had eaten Chinese and Japanese food before. 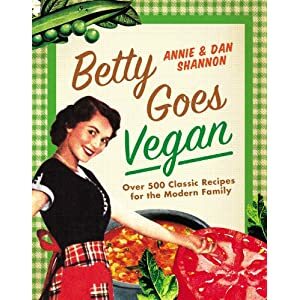 I had enjoyed years of eating smelly Kim Chi, and even had Vegan Mongolian Stew once; it was made with tempeh to replace the goat meat. Although I still applaud the creativity, I think we all agreed that night that it was not the best stew ever made... but I'm on a tangent. I never had Thai food until I was around 21, and had no idea that the Pad Thai I thoroughly enjoyed that night wasn't even very good. Over the years I have come to love Thai food; all that basil, coconut milk, peanuts, and spice. To me, Thai food has become that special someone. I adore you, Thai food. That's how I know that Pad Thai comes in many forms and guises. From spicy seafood with rice noodles to catsup-y sauce over linguine, I've seen them all. That's just one reason why when I read through Betty's Pad Thai recipe I had to nod my head and just smile. This is the good stuff*. We had to tweak it a bit here and there to replace things like Fish Sauce (gag) and Beef Broth, but this recipe is really one of the best dishes we've made thus far. I also got to use one of my very favorite tricks for replacing the fried egg bits in fried rice, chow mein and egg drop soup, which I always look forward to. Make up your noodles per instructions on the package. The noodles we used were ready in 5 minutes, so we didn't make them until we made the rest of the dish, but some take longer and you need to boil the water. Please use your best multitasking/time management skills. In a bowl, mix Lime Juice, Water, Brown Sugar, Stir Fry Sauce, Braggs, Vinegar, Pepper and 1 Tablespoon of the Sesame Oil. In your favorite little wok, heat 3 Teaspoons of Sesame Oil over a medium heat. Cook the Garlic in the warm Oil for less than a minute. Add the mashed Tofu. Fry them for about 2 minutes. Remove them from the wok when they turn golden brown and have a crispy skin. Put the Tofu in a bowl on the side; don't dab off any of the Oil. Add the remaining Oil to the warm wok. Be careful; it may steam or splatter. 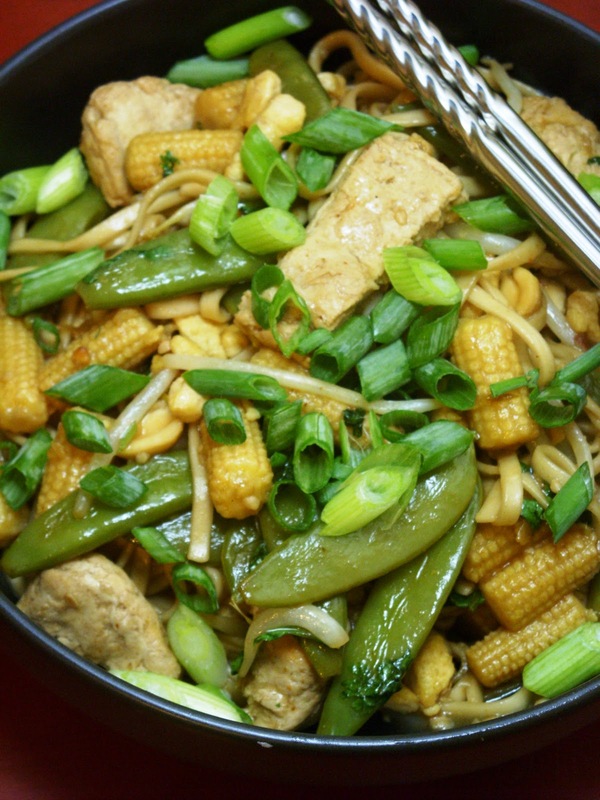 Toss in Vegan Chicken, Baby Corn and Pea Pods and cook. Stir frequently, so they cook evenly. Once the Chicken begins to brown and the Vegetables become tender, pour the Lime Sauce in. Then, add the Tofu and mix. Next, mix in the cooked noodles. Stir in Peanuts, Bean Sprouts and half the Cilantro.You're going to let this cook for 3-6 minutes; it depends on how saucy you want your dish to be. The longer you cook it, the more liquid evaporates and soaks into the noodles. We cooked ours for 5 minutes. Serve this up with the Green Onions and Cilantro sprinkled over the top, with a lime wedge to squeeze over it if you want more citrus-y flavor. *If you don't do anything else today, watch this. It'll just make you feel good and it's my new favorite thing ever; that's why I posted it twice. I might even post it again. Who knows... life's crazy sometimes. I have to try this out! 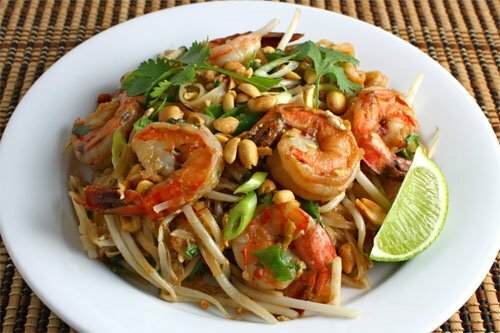 I have made Pad Thai before but this recipe sounds delish! 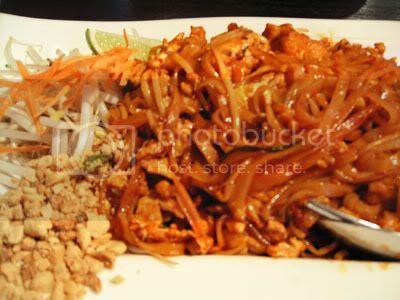 I love Pad Thai! I make it quite a bit, but I love finding new recipes. Thanks for sharing. Just wanted to let youknow how much I love your blog. I check for new posts everyday ! I am planning on making this for dinner tonight. I LOVE your blog... keep up the great work. I just started a food blog but have only been able to contribute one recipe so far. I'll post how this turns out! Been reading your blog for a while and just came across this post... Did you go to Evergreen? I did too! I lived in Oly from 2003 - 2007. You? I did! It looks like we just missed each other. I lived in the Olympia/Seattle area from 1993 to 2000. I'm glad you found our blog! It's always nice to meet another Greener! I tried the recipe last night and it was to die for. Thanks. Oooh... this recipe looks & sounds 'forget-about-my-one-week-juice-fast' tastylicious!